Must see 3 BR 2 BA Nisswa home on 5 acres fenced for horses. This property is ideally located close to the lakes, shopping and everything Nisswa is famous for. 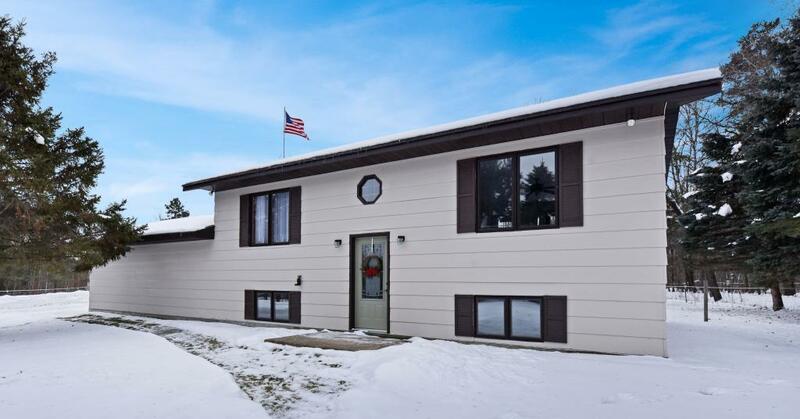 Home is well cared for and features a large family room, open floor plan, lower level floor heat, 40x60 heated and insulated pole barn, Man Cave, and 2+ attached garage, deck, newer roof, tiled bathroom w/heated jet tub, horse stall w/water, tack room, and more.